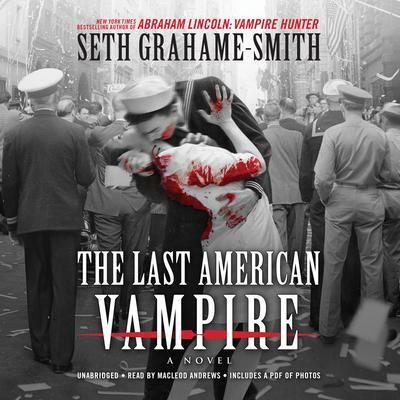 New York Times bestselling author Seth Grahame-Smith returns with the follow-up to Abraham Lincoln, Vampire Hunter—a sweeping, alternate history of twentieth-century America as seen through the eyes of vampire Henry Sturges. In Reconstruction-era America, Henry is searching for renewed purpose in the wake of his friend Abraham Lincoln’s shocking death. It will be an expansive journey that will first send him to England for an unexpected encounter with Jack the Ripper, then to New York City for the birth of a new American century, the dawn of the electric era of Tesla and Edison, and the blazing disaster of the 1937 Hindenburg crash. 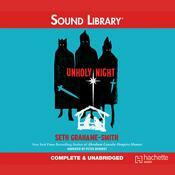 Along the way, Henry goes on the road in a Kerouac-influenced trip as Seth Grahame-Smith ingeniously weaves vampire history through Russia’s October Revolution, the First and Second World Wars, and the JFK assassination. 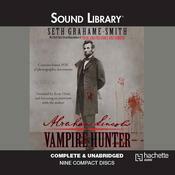 Expansive in scope and serious in execution, The Last American Vampire is sure to appeal to the passionate readers who made Abraham Lincoln, Vampire Hunter a runaway success. Seth Grahame-Smith is the New York Times bestselling author of Abraham Lincoln, Vampire Hunter and Pride and Prejudice and Zombies. In addition to adapting the screenplay for Abraham Lincoln, Vampire Hunter, he also wrote Tim Burton’s film Dark Shadows. He lives in Los Angeles.